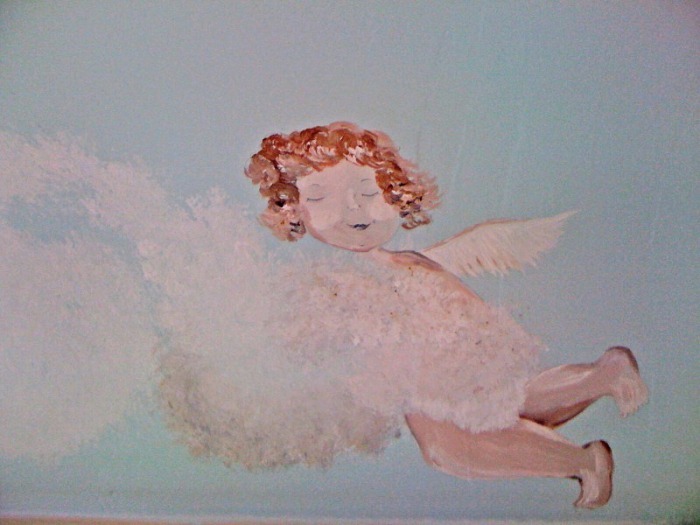 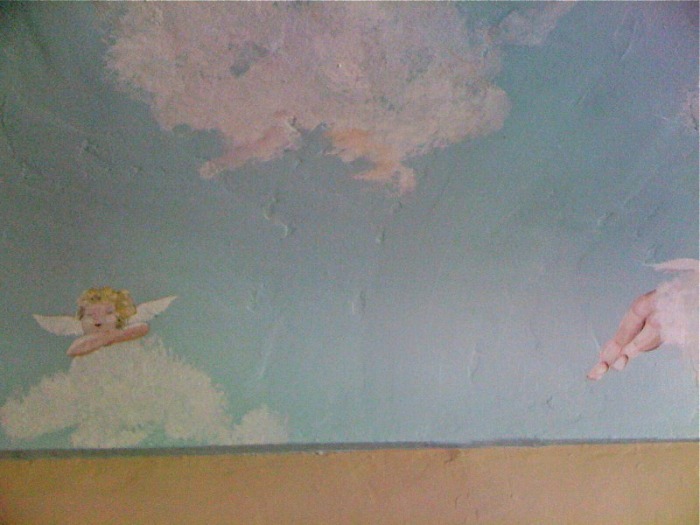 this decorative ceiling was partially stenciled and partially hand painted, angels , roses, sky . 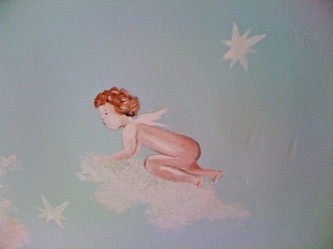 Overall I gave it an antique faux finish background. 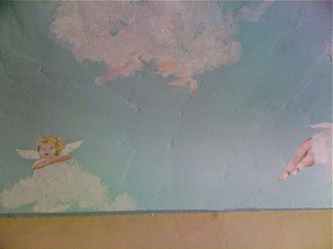 Angel couple , stars , clouds..
these cute Angel kids where floating around on a smaller ceiling within clouds and stars, and some glitter! very sparkly, mixed in where other Angel kids behind clouds, sometimes only a little " Angel leg" sticking out. 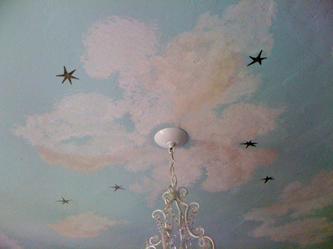 a sky/cloud ceiling at sunset.